Starting at 9 a.m., a live stream will begin from the football offices and will feature live reports of new players, interviews with coaches, and a glimpse of what signing day is like for the football staff. 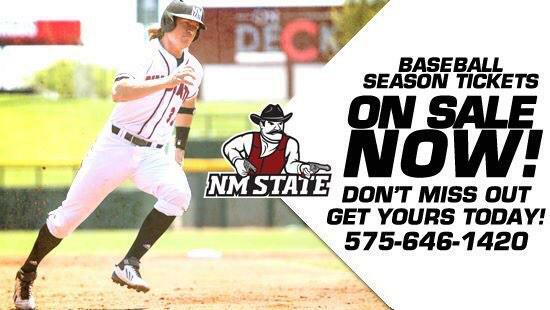 This stream is free and is available at www.NMStateSports.com. The signees will also be updated on-line minute-by-minute throughout the day. Coach Martin will host the signing day press conference at 2 p.m. in the football meeting rooms, which will also be streamed live on the website. That same evening, the NM State football team hosts a signing day party for the whole community on Wednesday, February 5th beginning at 5:00 PM at Danny Villanueva Victory Club on the third floor of the Stan Fulton Athletic Center. This special celebration of Aggie football will allow fans to meet head coach Doug Martin and his staff. In addition, the new players that have signed up to be Aggies will be presented to the community.